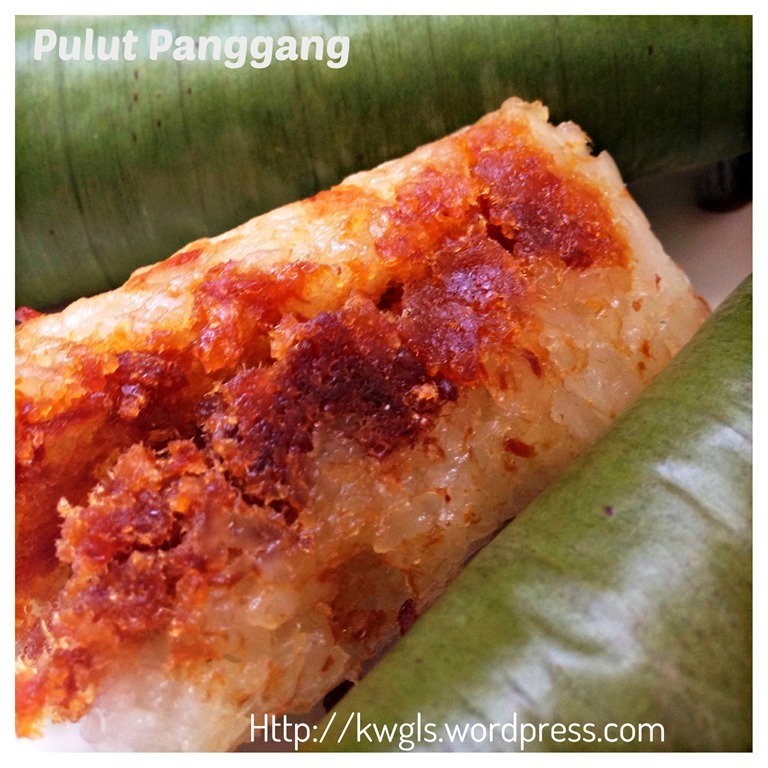 Pulut panggang is a Malay or Nonya cuisine literally translated as “grilled glutinous rice”. 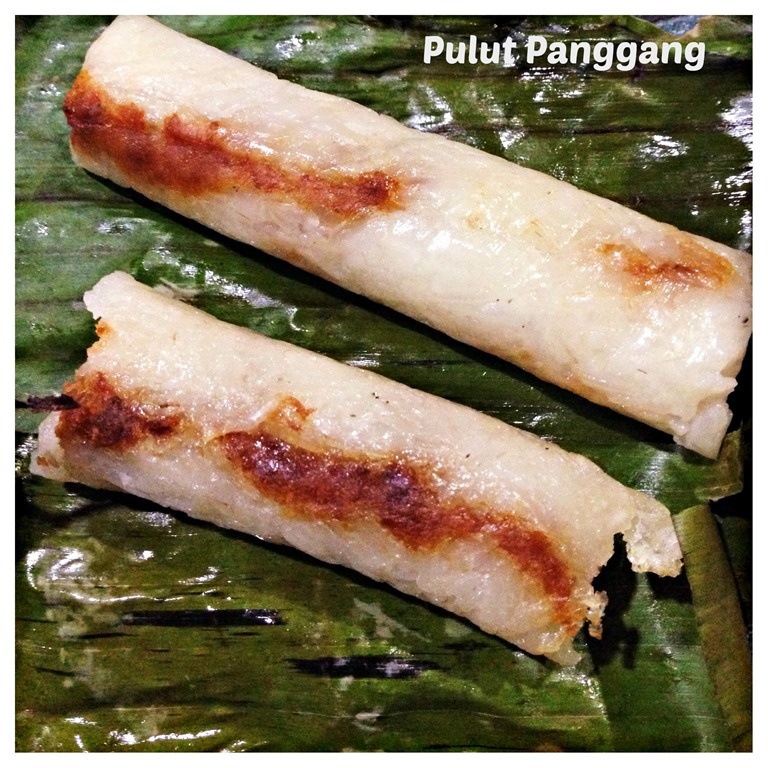 It can be commonly found in the night market of Singapore and Malaysia. 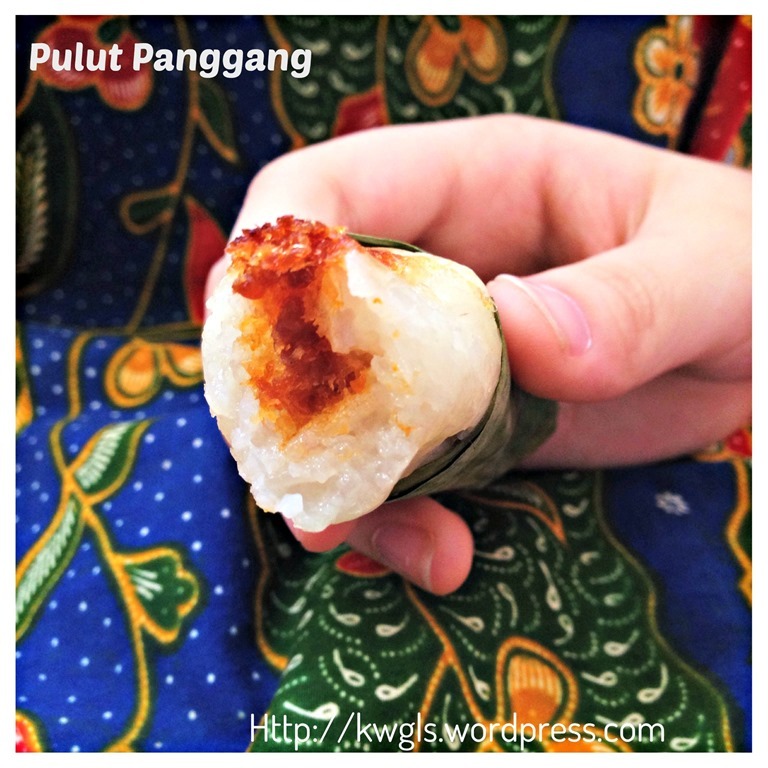 In Sarawak, the Pulut panggang is “kosong” meaning “no filling” whereas depending on which part of Malaysia that you are visiting, the fillings can range from dried desiccated coconuts to beef floss to shrimp floss. 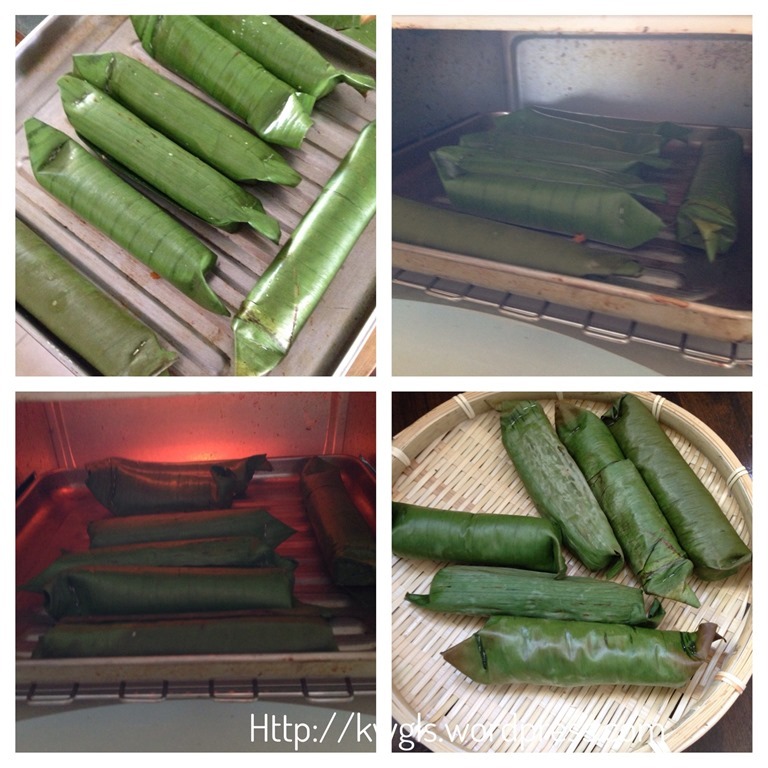 Traditionally, the glutinous rice was wrapped in banana leaves and grilled over the charcoal stove. 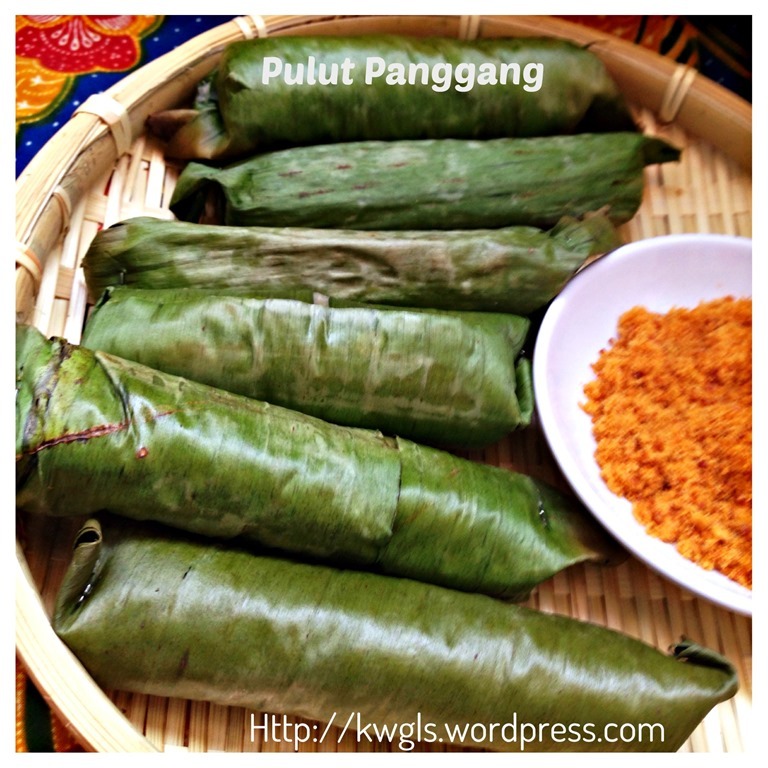 I always loved to buy this kuih when I frequented our Malay brother’s store. Since I have some glutinous rice left and I am trying to dispose half a bottle of shrimp floss (“hae bee hiam” in Hokkien) left from making the shrimp floss cookies during the Chinese New Year, I have decided to prepare this for snack yesterday. As usual, I have used the short cut method in the preparation. Is it not time is precious nowadays? It took me about 2 hour to get ready the Kuih. Family loved it and I regretted of preparing only 1 cup of rice.. 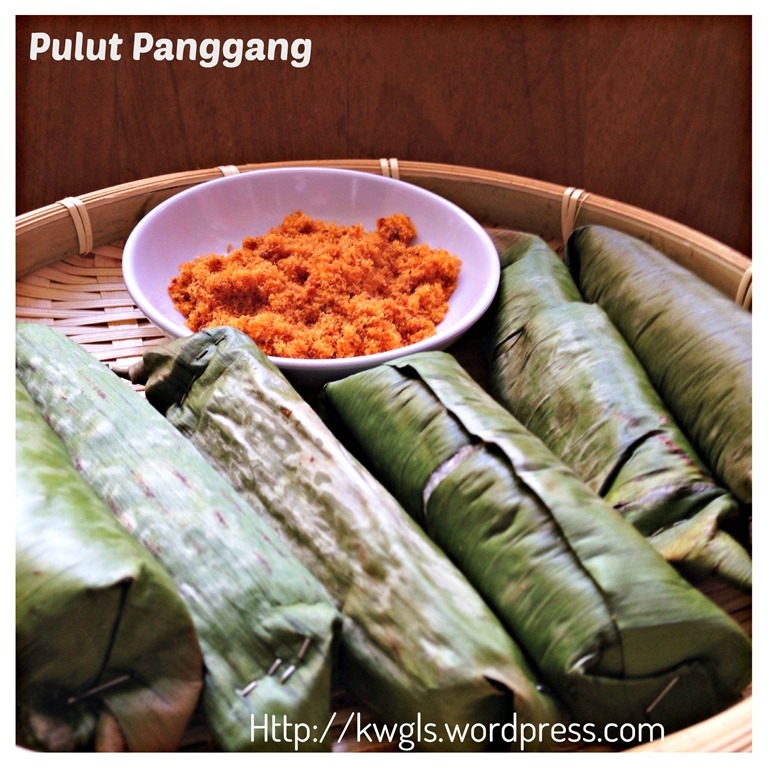 I will not be sharing the preparation of the sambal udang or shrimp floss in this recipe. There are a lot of recipe in the net and if you google it, you should be able to get hold of the a recipe easily. 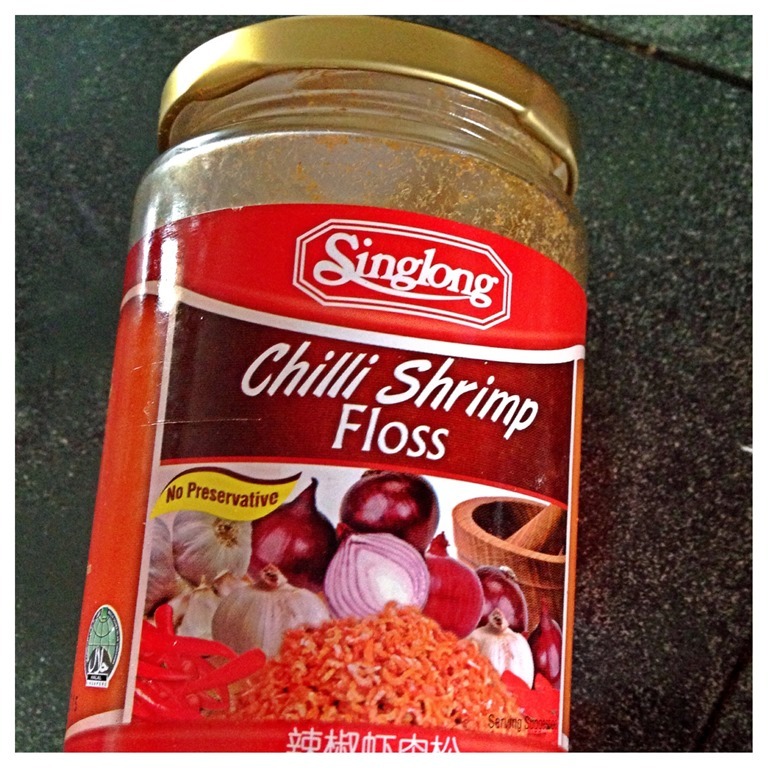 I have used ready made shrimp floss. It save lots of my time. In Singapore, you can easily get it in bigger supermarkets such as Giant, Fair Price or Sheng Shiong. Price are reasonable and if I do not remember wrongly, it cost about SGD4.00. One stapler or some toothpick to fasten the leaves. 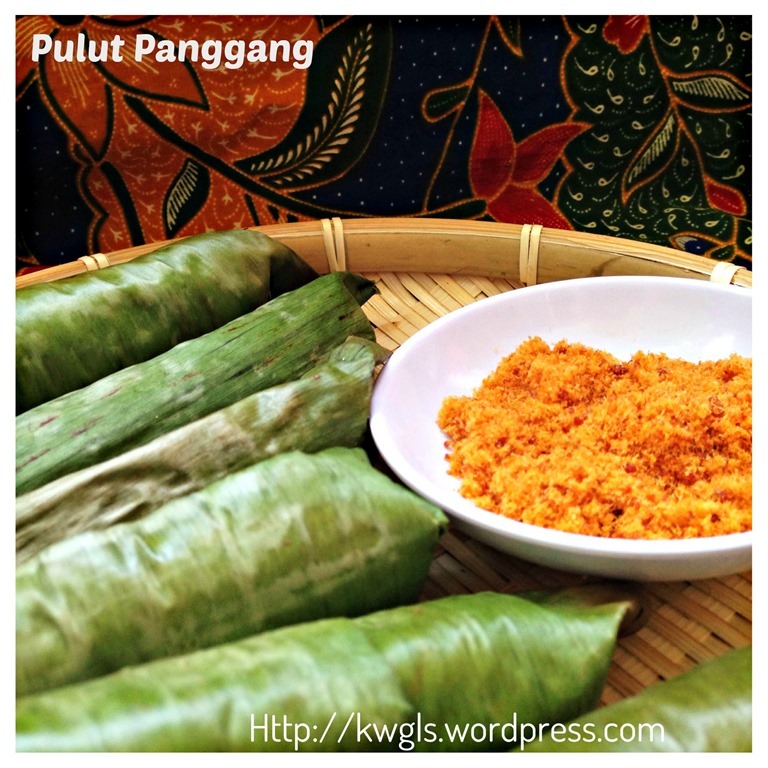 Clean the glutinous rice, throw in the bundled pandan leaves, add in the coconut milk and pinches of salt. 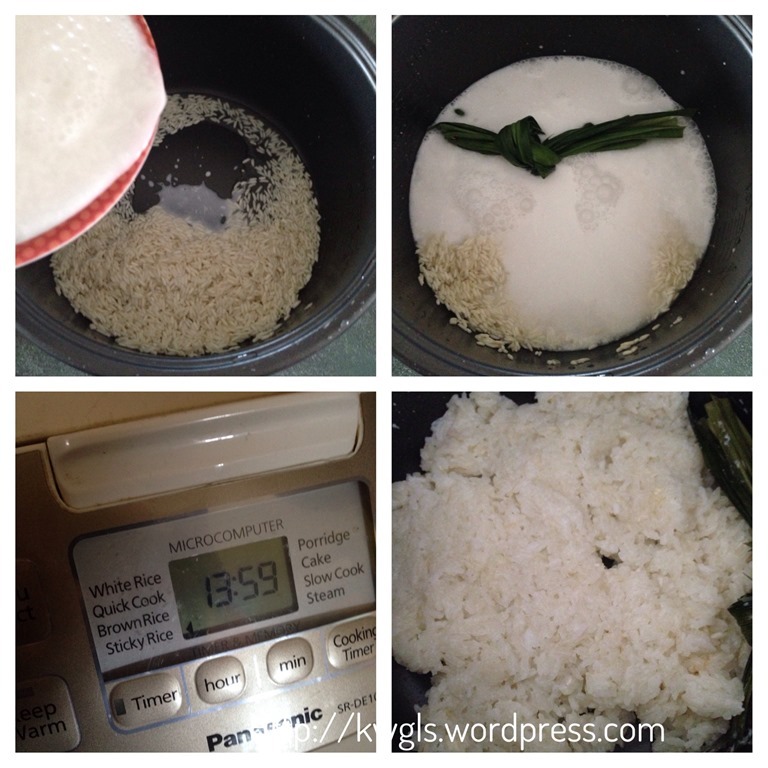 Select sticky rice function and cook the rice as per rice cooker instruction. If your rice cooker do not have the sticky rice function, select the normal rice cooking function and cook for 2 cycles. Alternatively, you can steam the rice until it is cooked, soft and transparent. If at the end of the cooking, you find that the glutinous rice is still a bit too hard, add in water tablespoon by tablespoon. Let it rest in the rice cooker for another 15 minutes. Once done, cool and set aside. 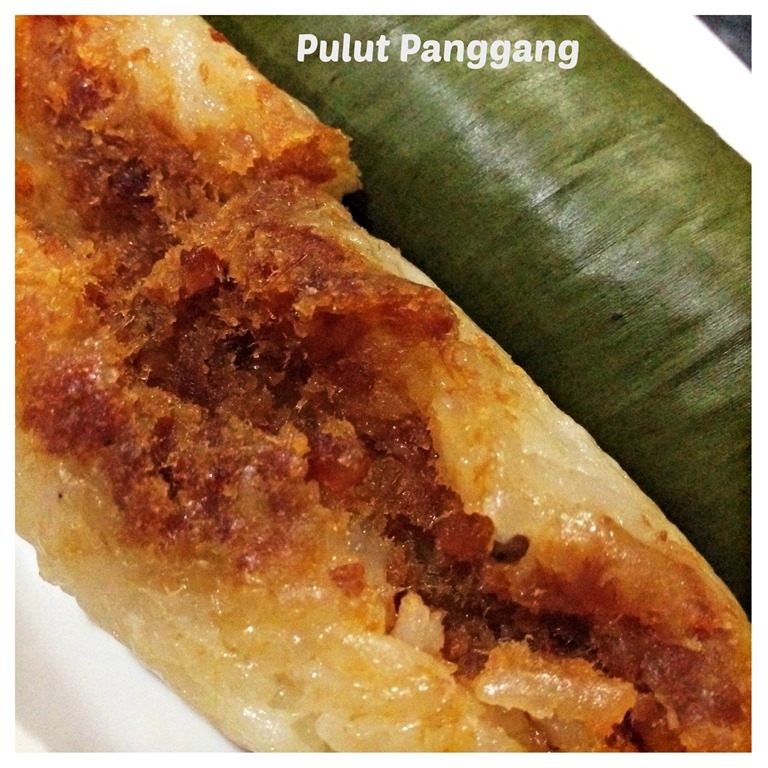 In a piece of banana leave, put some cooked glutinous rice, flatten it. 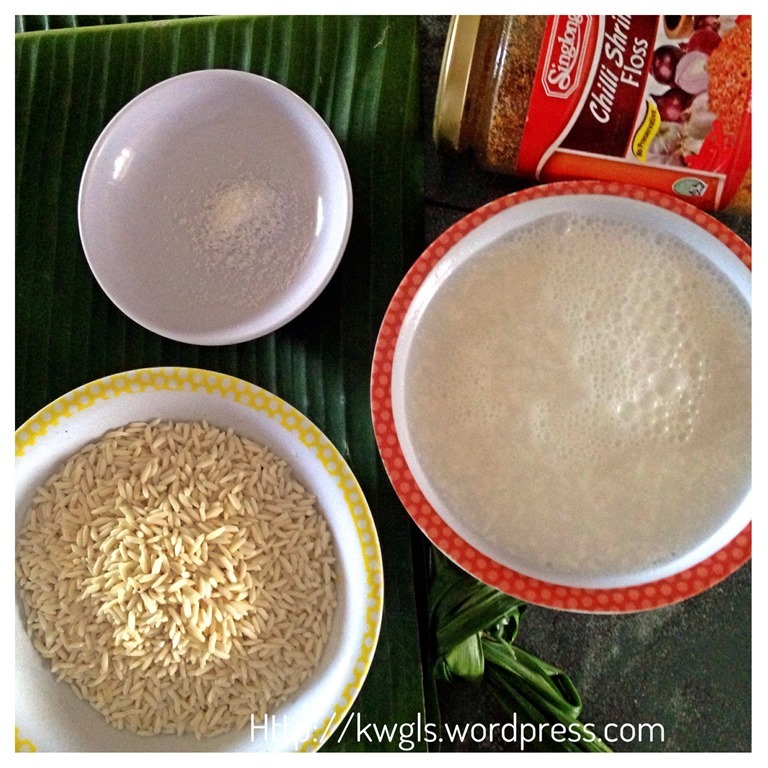 Put about a tablespoon of shrimp floss in the centre or (or your desired quantity) on top of the cooked glutinous rice. 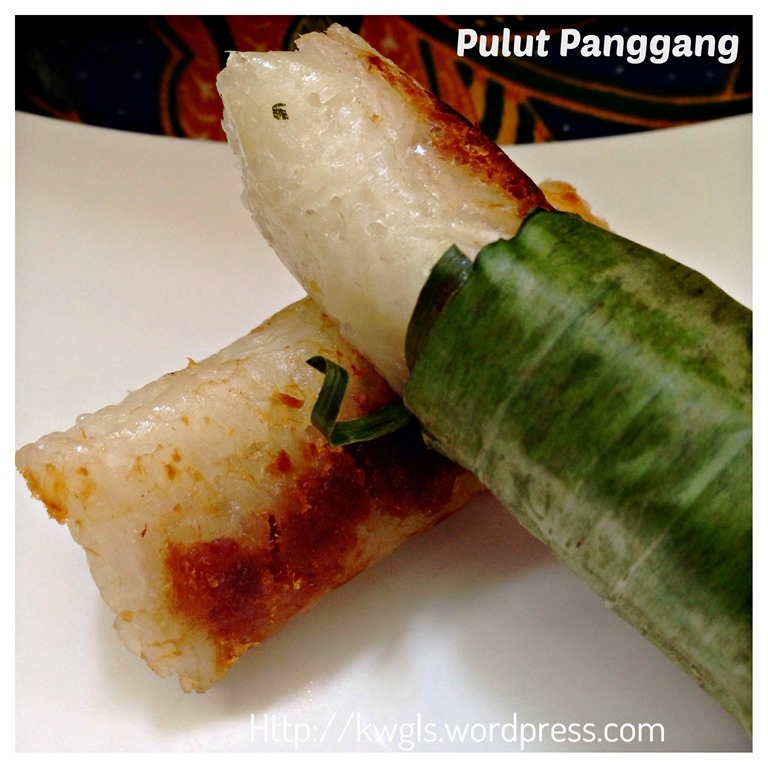 Roll the glutinous rice like the way sushi is rolled. Seal both ends by stapling using a stapler or toothpick. Baked in an oven at 100 degree Celsius for about 10-15 minutes until the leaves are slightly burnt. For this illustration, I have bake in a simple oven toaster for about 15 minutes. Alternatively, you can also pan fry the rice package on top of a frying pan in the gas stove. 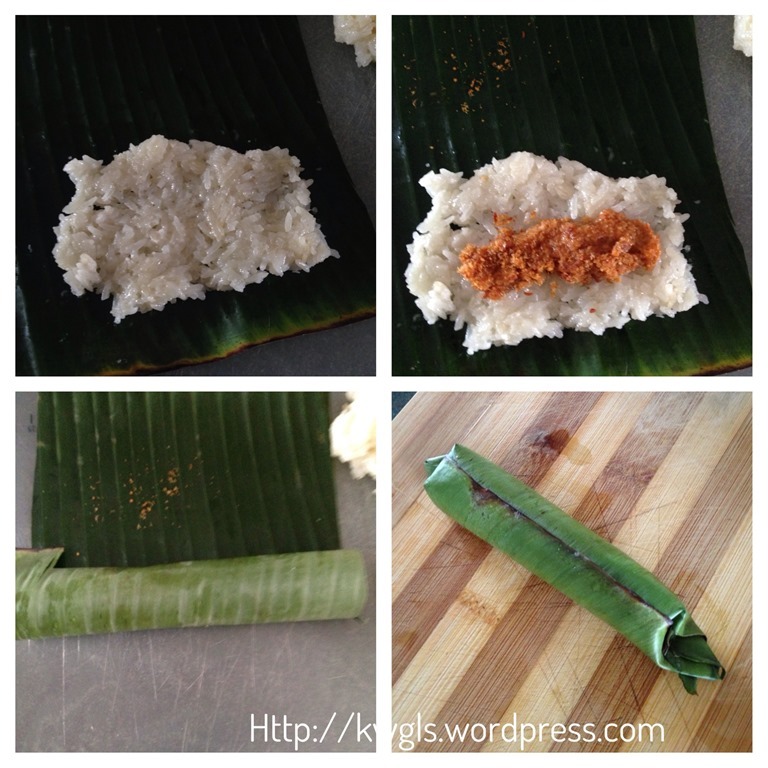 Note that whichever method you used, the main purpose of this step is to let the glutinous rice and shrimp floss have a better binding and to infuse the fragrance of banana leaves to the rice cake. Since both glutinous rice and shrimp floss are cooked, therefore, the grilling can be as simple as possible and in fact, optional. Best serve hot as a snack with a cup of tea or coffee. With the available of new kitchen technology and ready made products, it is easy to prepare traditional cuisines. One thing good about homemade these cakes is we are able to easily tailor to our taste buds. For this illustration, since I have a sweet tooth, I have added castor sugar to the shrimp floss and make it tastier. In addition, instead of 1 tablespoon of shrimp floss, my wife requested me to put 1.5 tablespoons.. Ha-ha, same for all of you, do feel free to adjust to your family’s likings and what I am sharing is more of a method rather than a recipe.. 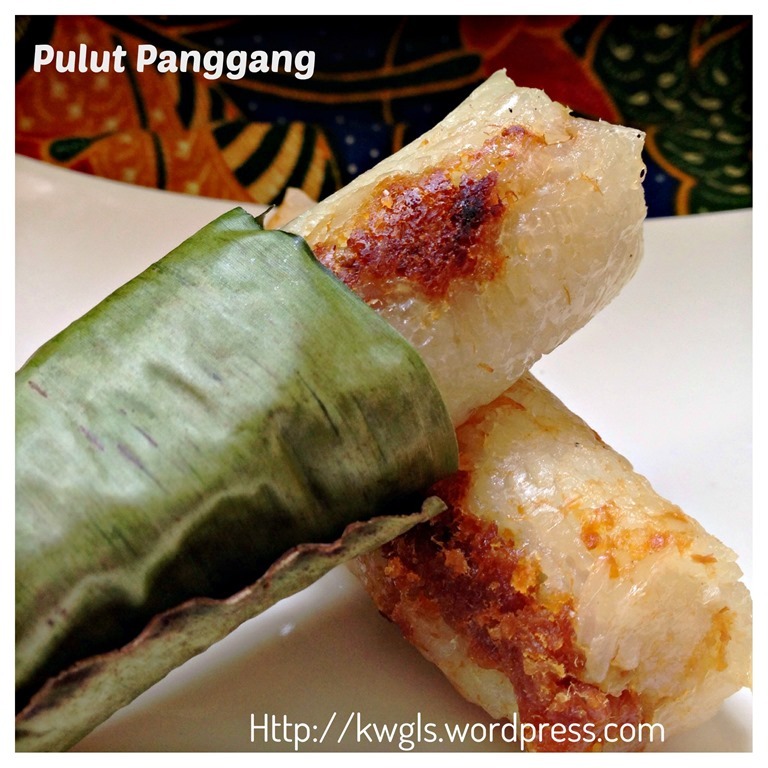 This entry was posted in Chinese and Asian Cakes and Snacks, Food Preparation Series and tagged 8, 糯米虾米卷, grilled glutinous rice package, GUAI SHU SHU, Guaishushu, kenneth goh, kuih pulut panggang, malay kuih, nonya kuih, postaday, PULUT PANGGANG. Bookmark the permalink. Hi, Pandan leaves are not available here in US, so I bought Pandan extract instead. How much should I use? 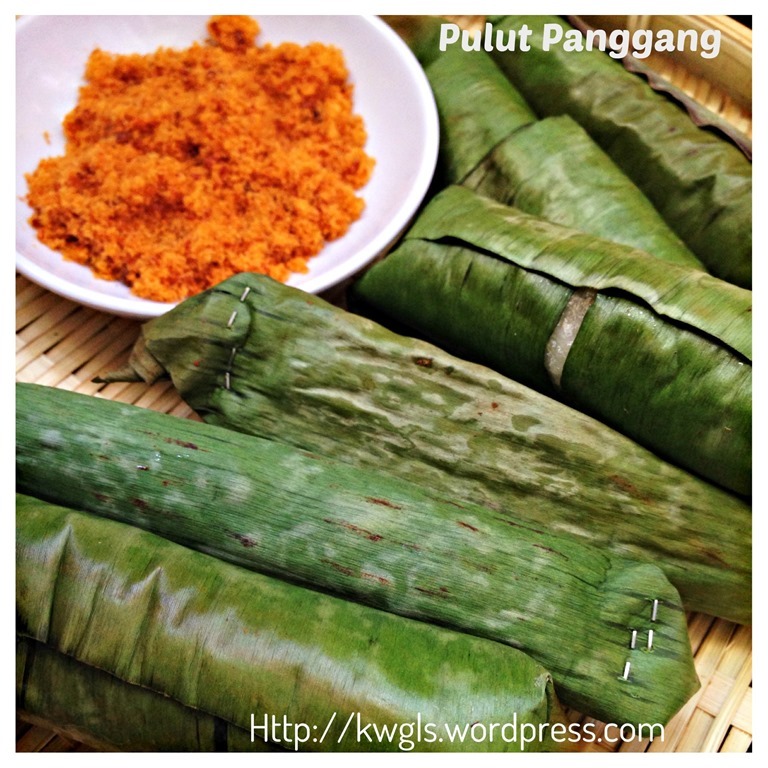 I will advise you that you do no use pandan extract for the glutinous rice.. Just omit it..